Bald eagles are a majestic and beautiful species of bird, but not many people know much about them other than being a symbol of national pride. 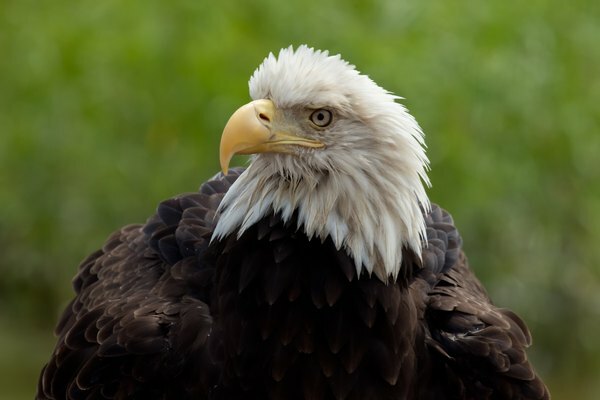 Bald eagles have many different unique adaptations to survive and interesting physical characteristics, but do you know how to tell male and female eagles apart? Differentiating between male and female bald eagles can be a difficult undertaking because neither has any immediately obvious telltale gender markings. There are, however, multiple telling, albeit subtle, differences. According to the University of Saskatchewan, female bald eagles are larger than their male counterparts by roughly a third in size. Females tend to have a body length of 35 to 37 inches, while males tend to be 30 to 34 inches long. Another method recommended by Journey North, a bald eagle education initiative, is to look at the length of the talons, or toe claws. 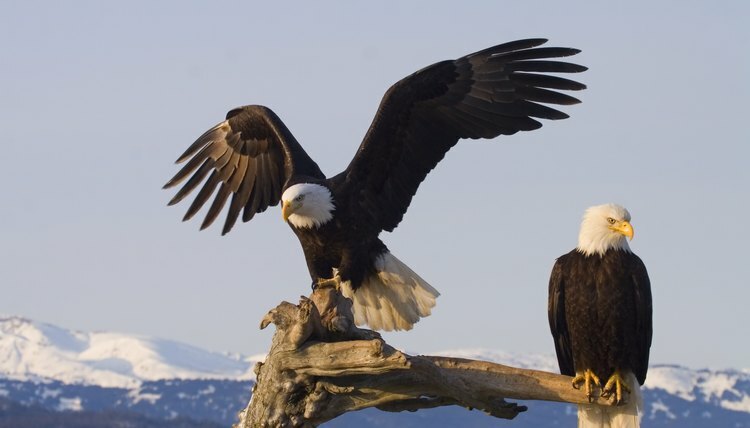 Both male and female eagles have four talons–three in front and one in back. The back-facing talon or hallux tends to be longer on female bald eagles. 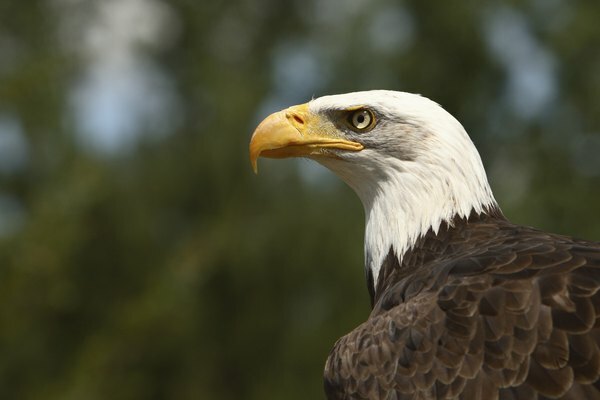 The width from the top of the beak to the eagle's chin is the depth of the beak. Female bald eagles generally have deeper beaks than male eagles, according to Journey North. 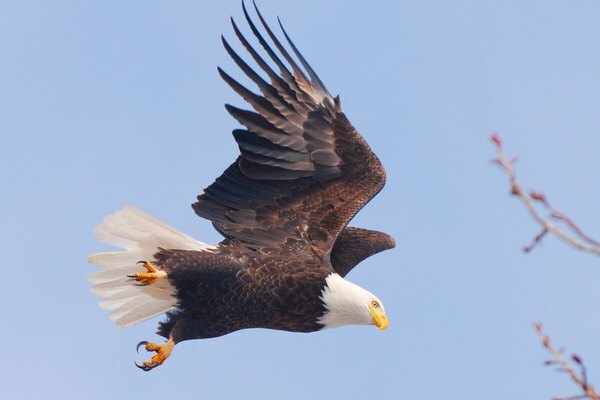 Gender may be determined by comparing the pitch of two eagles, Bald Eagle Info explains. Females tend to have a lower pitch than males and can be identified this way. 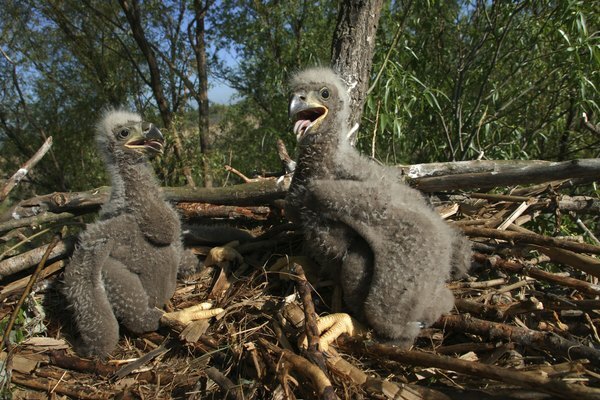 Dr. Gary Bortolotti, in his research with the University of Saskatchewan, determined that the difference between male and female bald eagle nestlings wasn't readily apparent until around 20 days of age. He found that the most accurate way to differentiate between genders was to measure the length of the eagles' foot pads and the depths of their beaks.